Faraway Press: The Online Home of John Jackson Miller: Lego! Lego my comic books! 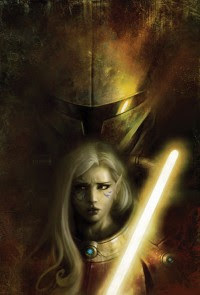 • There are pages for Knights of the Old Republic #40 and for the next trade paperback, Star Wars: Knights of the Old Republic Vol. 6: Vindication, which includes issues #29-35. You'll note that it is indeed Volume 6, and that next month's Vector trade really is Volume 5. You can get Vindication from your local retailer — or you can preorder it now from Amazon through this link.